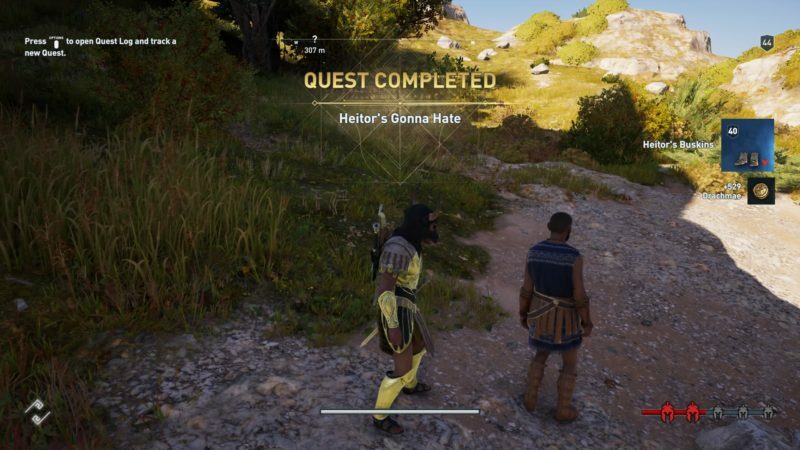 Heitor’s Gonna Hate is a side quest in Assassin’s Creed Odyssey involving your acquaintance Heitor. You first met him in Kephallonia and now, he’s in Attika. Your task is to help him rescue a friend. 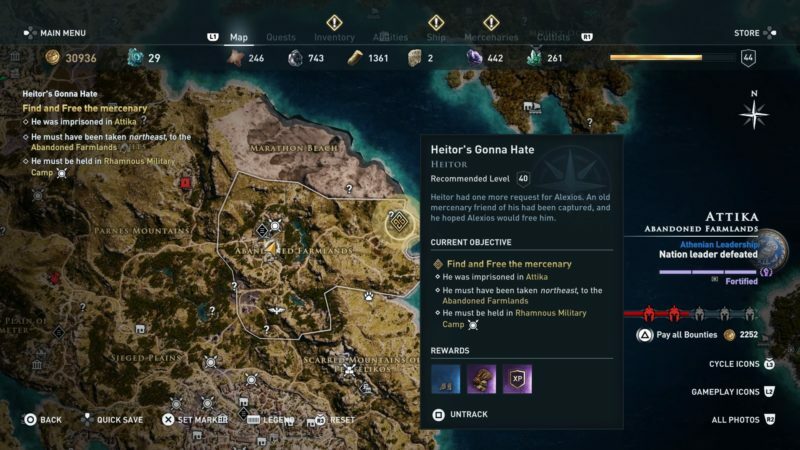 Here’s a brief walkthrough of Heitor’s Gonna Hate in AC Odyssey. 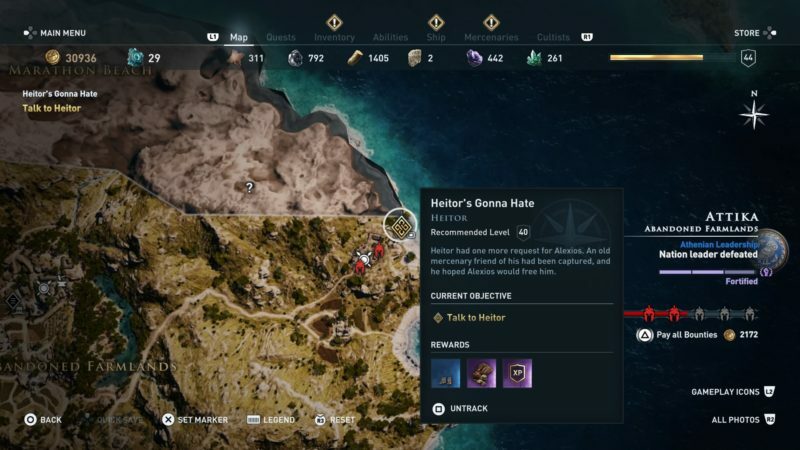 To begin the quest, talk to Heitor in the Abandoned Farmlands of Attika. His exact location is shown in the map below. Your main objective is to help rescue Heitor’s friend. 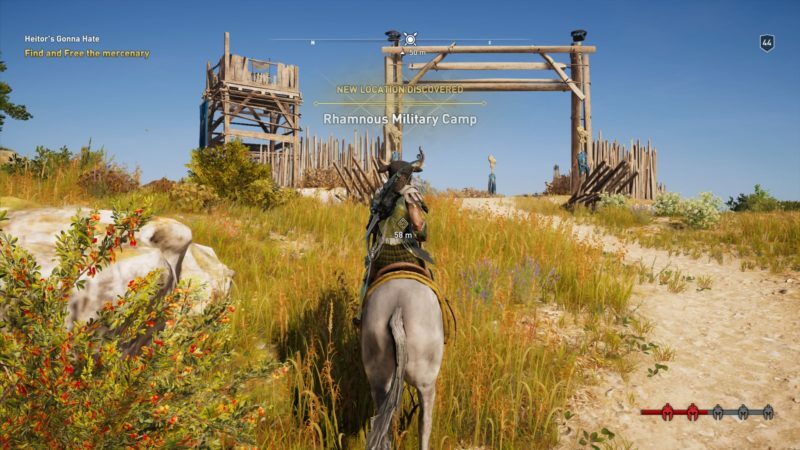 He is being held in the Rhamnous Military Camp. 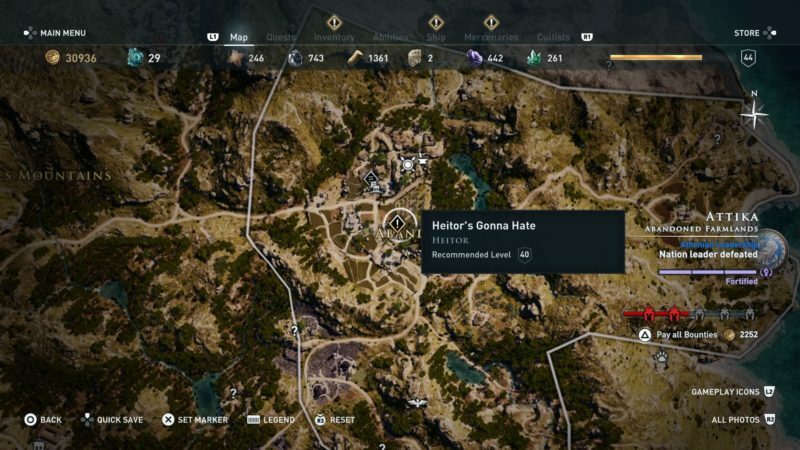 The exact location of the camp is shown in the map below, marked as the quest symbol. As you arrive, you’ll see plenty of guards inside the military camp. You can try to sneak through the soldiers, but you may get caught later. In any case, kill all of them to be safe. 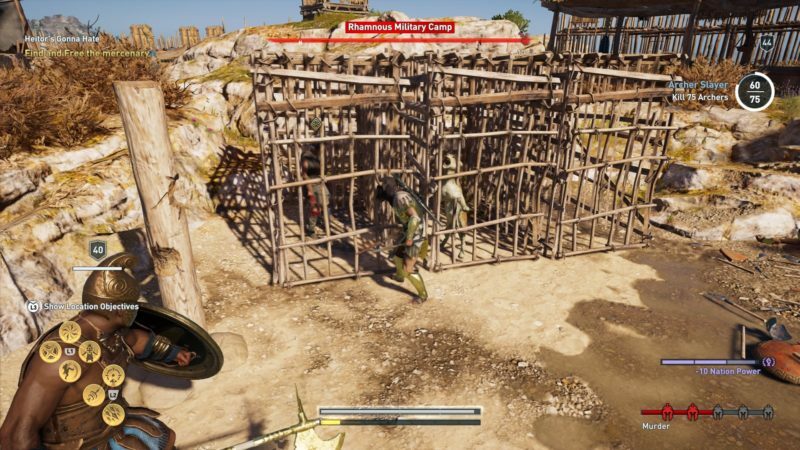 You will find Heitor’s friend inside one of these cages. Now, here’s where I screwed up. I released the friend before I got rid of all the soldiers, which meant he died in combat. 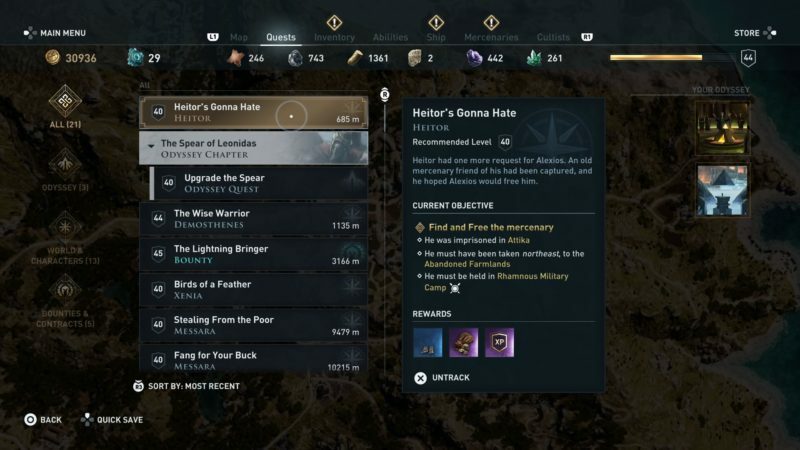 If you kill all of the guards first before releasing him, maybe he’ll live. In any case, you can still complete the quest even with the friend dead. Since he’s dead, get back to Heitor. 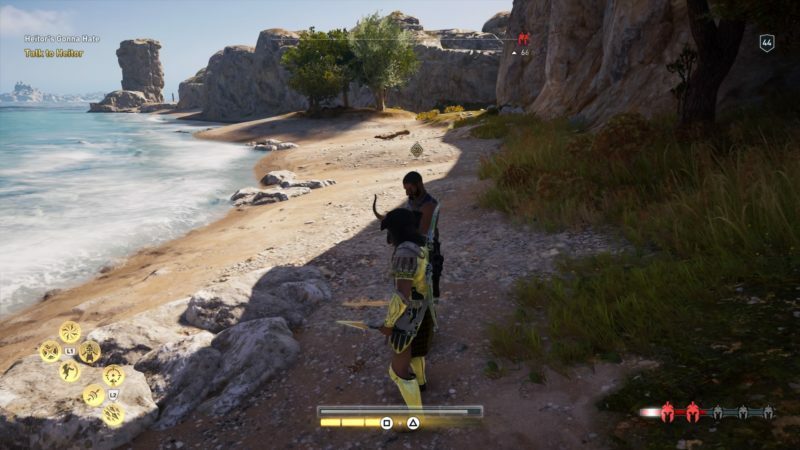 He’s waiting at the coastline just outside the camp. His exact location is shown in the map below. Talk to him here and in my scenario, his friend died but he seemed okay with it. Apparently his friend went a little crazy. And that’s it for this quest. 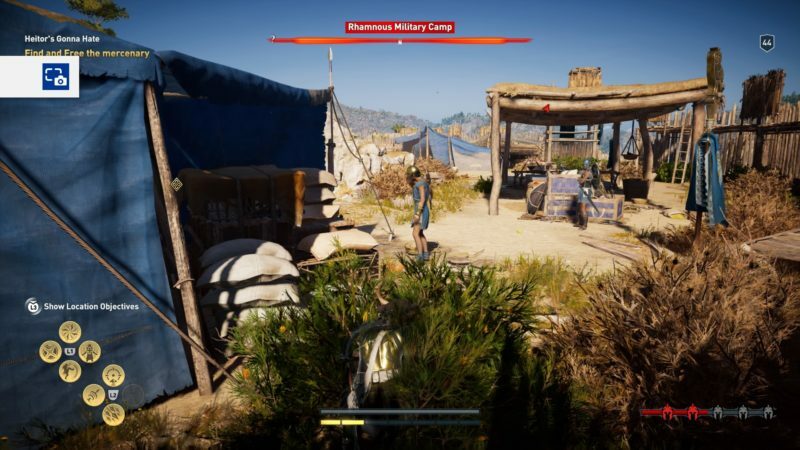 You will earn a pair of buskins and some drachmae.